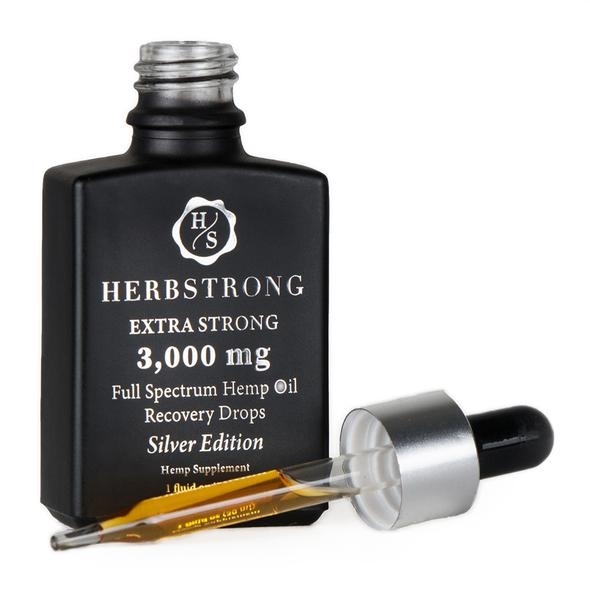 Silver Edition - Twice the size and 3X the Full Spectrum Hemp Oil compared to the original 1000mg Recovery Drops. Extra Strong Full Spectrum Hemp oil for overall body relief, recovery, and relaxation. Supercharge recovery and achieve balance for your body and mind. Designed with strength and effectiveness in mind, take a daily dose twice per day to promote relief and recovery throughout your entire body. Relieves aches, pains, and soreness.